The eye-catching hammered design on the handles of this cake set will sparkle with reflected light on your main event table. This stylish set is made from stainless steel and consists of two pieces. The first is a cake server with a stainless steel blade that has a serrated edge. The second piece is a cake knife with a silver stainless steel blade that has a serrated edge. Both pieces have sturdy poly resin handles featuring an eye-catching hammered design with a shiny silver plated finish. 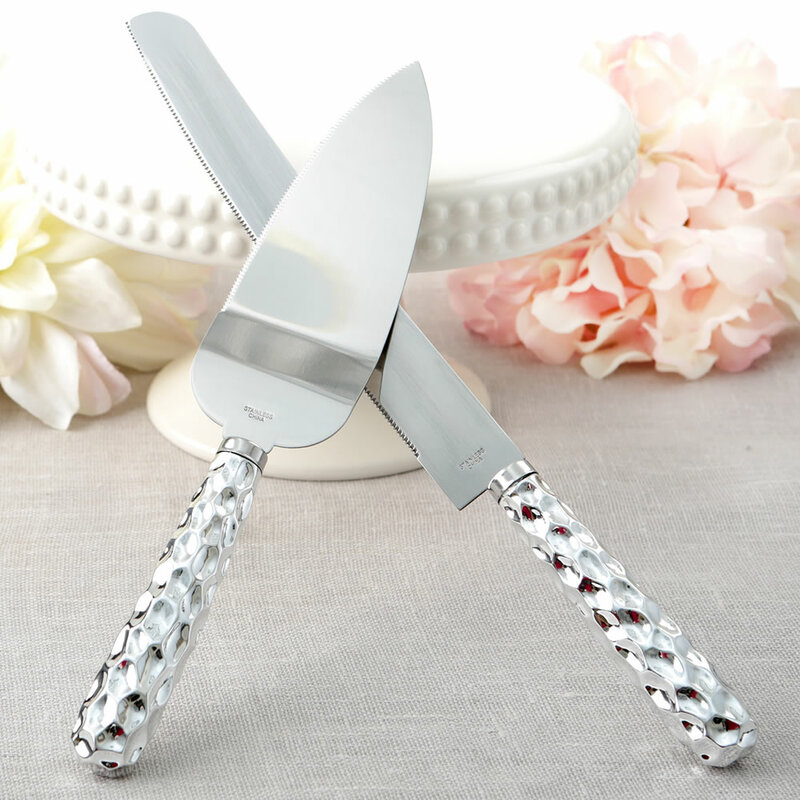 Size knife 12 " x 1"
This stunning cake set is sure to sparkle on your main event table! SOLD OUT - will be in stock around Friday 24 May, 2019.